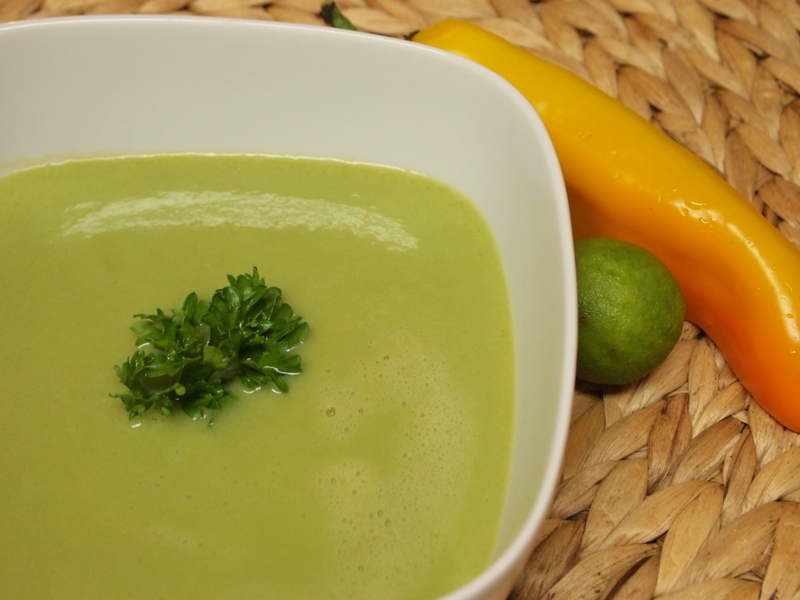 Crema de Habas is by far one of the most popular soups in Peru. However, it took me a long time to figure out that the long strange pods and beans contained therein were fava beans. The other day, now back home in Austin, Texas, I was extremely excited to see these same now-familiar beans at a Middle Eastern grocery store in town. However, if it is difficult to find fresh fava beans in your home town you can reconstitute and use dried beans or lima beans. The color will be far less vivid, but the taste is still nice. Combine fava beans, broth, lime juice, and soy sauce in a food processor or blender and combine until smooth.